We are engaged in providing a wide range of Measuring Instruments. Our range are highly appreciated by the clients in all over the nation for its durable quality and available at industry's most leading and competitive price. Enriched with vast industrial experience, we are involved in manufacturing a qualitative range of Air Temperature Sensor. These are skilfully designed and developed from top quality components and as per world class standards. Owing to its rugged construction, accurate dimensions and high functional efficiency, these devices are widely recommended by large number of clients. we provide these in various technical specifications following the precise demands of clients. The sensor used for measurement is an RTD (PT 1000). Here the resistance of the element varies with temperature (increases with temperature), approximately 3.9 ohms/degree Celsius. The weather shield Is provided to avoid direct heating of the sensor by sun's radiation and to protect it from rain and snow. 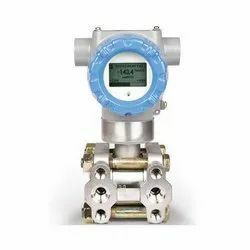 Series 211 Differential Pressure Transmitter can accurately measure positive, negative, or differential pressure and send the corresponding 4-20 mA output signal. The Series 211 is not position sensitive and can be mounted in any orientation without compromising accuracy. It also features a power LED, so you always know when the transmitter is operating. The compact, lightweight design makes installation simple and easy. 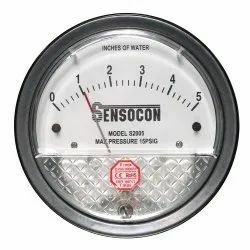 We offer Sensocon Differential Pressure Gauges. The S2005 can be used in applications for measuring positive, negative, or differential pressure with an accuracy of 2%. We are engaged in offering our prestigious clients a very highly premium and excellent quality range of Anemometer SWA 8600. Our range is known for its highly excellent quality and finest results. Our range is available at market's most leading prices. Anemometer SWA 8600 is a fast response, low threshold up to electronic anemometer. When rotated by wind, a chopper on the anemometer shaft interrupts an infra red light source, generating pulses from a photo transistor. The signal is amplified and fed through a line driver. The frequency is proportional to wind speed. The anemometer is provided with a 3 pin connector for easy replacement and comes with 10 meters of shielded cable. 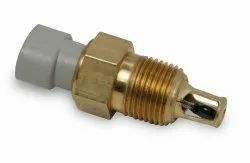 For operation at low temperature the sensor can be supplied with a built in heater. The Anemometer SWA 8600 can be supplied with a 20 W 24 V DC built in heater for operation at low temperatures. Looking for Measuring Instruments ?